There aren’t many magazines with more than three decades of history in Calgary. 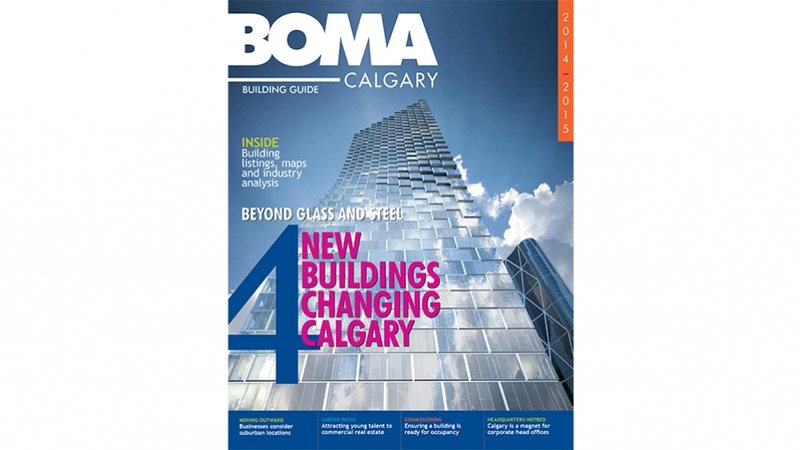 That’s one of the reasons RedPoint was excited to add the BOMA Calgary Building Guide, the official publication of the Building Owners and Managers Association of Calgary, to our custom publishing portfolio. We were also excited to have the opportunity to bring fresh eyes to the content, design, photography, production and distribution of the magazine, and to tackle the challenge of ad sales. With ad sales, RedPoint’s role was to bring something new to the table while respecting established relationships. In short, we were balancing tradition and inspiration—a combination that proved especially motivating for our team. The BOMA Guide is an unusual product in that it’s a membership-driven publication rather than a consumer publication. RedPoint Sales Resource Manager Stacy Haakonson says that to achieve the best results, the sales team worked on maintaining existing relationships, but also on offering established clients new rates. Clients were intrigued by the idea of a refreshed, engaging version of the magazine, and responded positively as RedPoint rolled out improvements in design and publishing quality. “For the account executives, it was motivating to have a truly outstanding product in the RedPoint portfolio that allowed them to reach out to the city’s building and development industry. And it was rewarding to enhance relationships with established clients.” Having other RedPoint products to showcase to potential clients helped too. “The team had success selling into the BOMA Guide because it could refer to established RedPoint products like Avenue, and up!and Life In Calgary.” Revenue results show that the team landed about 20% above its original goal, exceeding all expectations and launching a great new beginning for a long-running publication.